Your way into Dynamics 365. Are you looking for a way to get started with CRM? Then we are who you’re looking for! We will create a Dynamics 365 environment for you in a heartbeat, no shenanigans. A CRM crafted from your imagination. Functionalities in Dynamics 365 can be tailored to your needs and users can be flexibly added or deleted monthly. What’s it going to cost me? From Blankenese to Bergedorf: The EVE is your local contact for Dynamics 365 and we will always help you out. Why not visit us for a coffee? The implementation of a CRM doesn’t have to be a large-scale project. 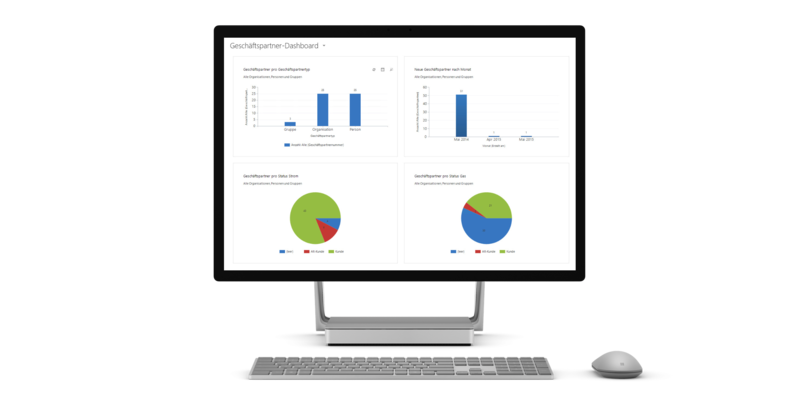 We will set up a Dynamics 365 environment for you and help you get started right away. You can start with just a single user and add the rest later. As your local partner in and around Hamburg we will support you on your first steps towards a CRM. You decide the pace: We offer assistance with licensing, learning about the system and gearing it towards your company, no matter the industry you operate in.